Kolkata: Despite holding a marathon discussion during the day, the State Election Commission (SEC) and the Bengal government have failed to reach a consensus as regards the new dates for the Panchayat polls in the state. The officiating secretary of state Panchayat department Sourav Das today called on the state election commissioner Amarendra Kumar Singh and discussed the new dates for voting in view of the order of Calcutta High Court. Sources have claimed that the state government wants the elections to be conducted in two phases on 14 and 15 May but the poll panel has a different take on this. SEC is in favour of holding the votes in at least three phases from 16 May. This is to ensure a clear 21-day gap from the closure of nomination filing and better deployment of security forces. With the differences in place, Das left the poll panel office and apprised chief secretary Malay De about the discussions with the SEC. 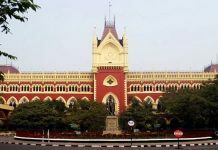 De, in turn, has apprised the matter to Chief Minister Mamata Banerjee, who in particular wants the voting to end before the start of Ramadan on 15 May. Amidst this, Calcutta High Court today directed the SEC to hold a discussion with all the political parties as regards steps taken for a free and fair poll. The directive came in view of a petition by political party PDS. SEC is likely to hold a discussion with the state police tomorrow and then with the political parties. Only after this, the new voting dates are likely to be notified. 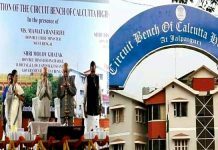 Meanwhile, justice Subrata Talukdar today rejected two separate petitions filed by BJP and Congress alleging that the SEC has violated the High Court’s 21 April order as regards extending the deadline for Panchayat poll nomination and ensure security for prospective candidates while filing the nomination. 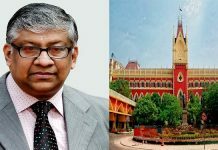 Justice Talukdar said that the HC will not intervene in the matter any further after having made the SEC allow a four hour extended window on 23 April for the nomination filing.